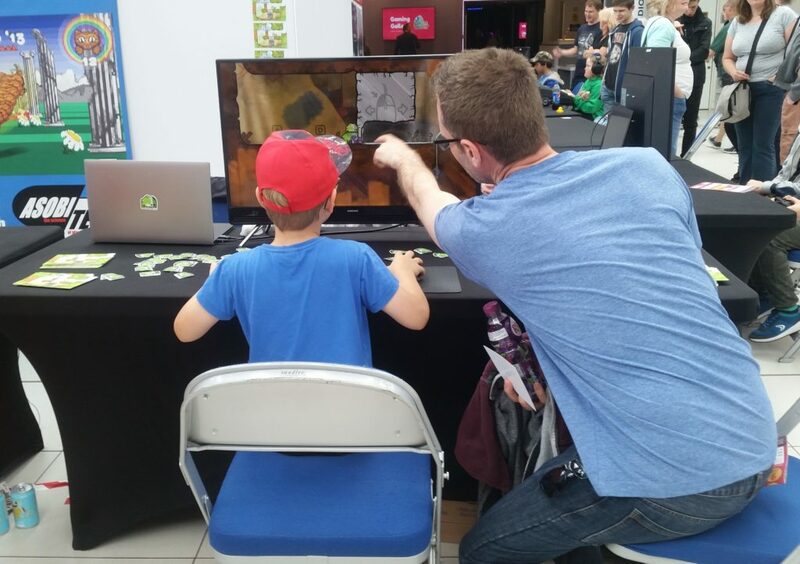 Last week we showcased Backworlds at Norwich Gaming Festival for two days. We brought some updated visuals and a new demo where we have tried to limit the scope so that visitors have a chance to finish it in one sitting. We learn something new about how to show our demo at every event and work continuously to improve it. This event was more family oriented than our previous exhibitions and we had a large amount of younger players. I was especially happy to see those times when parents would play with their kids, as Backworlds does get somewhat difficult and I think that is a great way to enjoy it together. There was of course other indie developers present and I want to give a shout out to my booth neighbors Spilt Milk Studios with Lazarus, Asobi tech with MaoMao Castle and Table Flip Games with Sure Footing. While I didn’t get a chance to play it, PokeyPoke by Shaun Spalding also looked really fun! 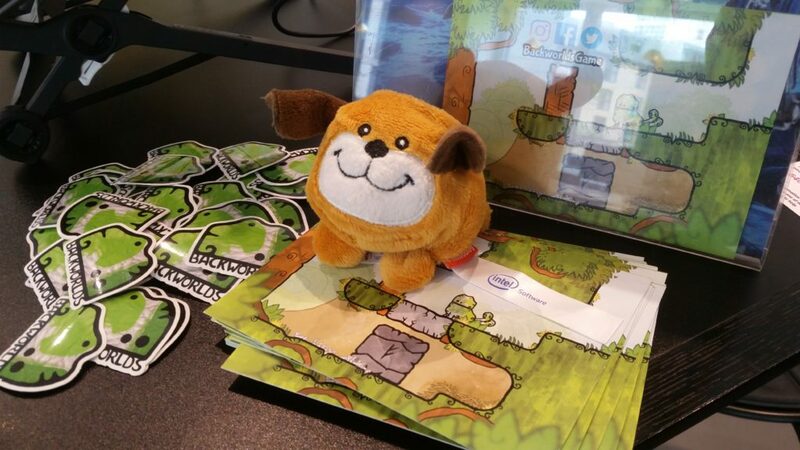 The same week we also showcased at Intel Buzz Workshop in London, with the same build of the game. It was an enjoyable and relaxed event with mostly game development students and professionals present, so I had a lot of good discussions about how our game is made and what other people are working on. I also got a chance to play Lost Words by Sketchbook Games, which I’ve had my eye on for a while, and they have wonderful way of presenting their narrative! Congrats to the audience award winners Pokerwars (Best Game) and NeuroSlicers (Best Looking)!